Supervisor John Gioia is commitment to increasing the availability of healthy foods to his constituents. The Farm 2 Table Program is designed to provide fresh produce from local farmers to residents. Through the creation of West County Community Supported Agriculture (CSA), fresh and local produce is brought to inner – Richmond and others utilizing Contra Costa – grown food.Prices range from $10 for Seniors, $15 for low-income families and $25 for families that can afford it- which subsidizes the costs for poorer customers. 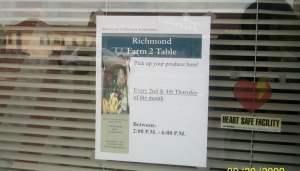 This program, in partnership with the Richmond Children’s Foundation and the Brentwood Agricultural Land Trust, has around 100 subscribers so far and continues to grow. The boxes of food are huge and contain a wide variety of seasonal fruits and vegetables. Drop off places include Supervisor John Gioia’s office as well as the MLK Community Center, the drop-off done by Eco Village. Contact Tonya Love for more information. 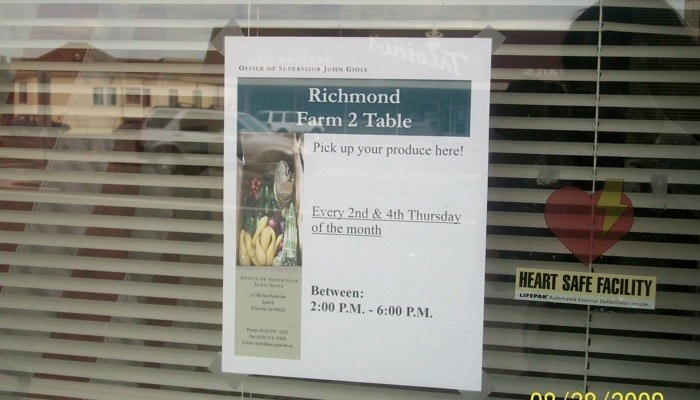 food access, partners, success CSA, John Gioia, Richmond, vegetables, West Contra Costa. permalink.